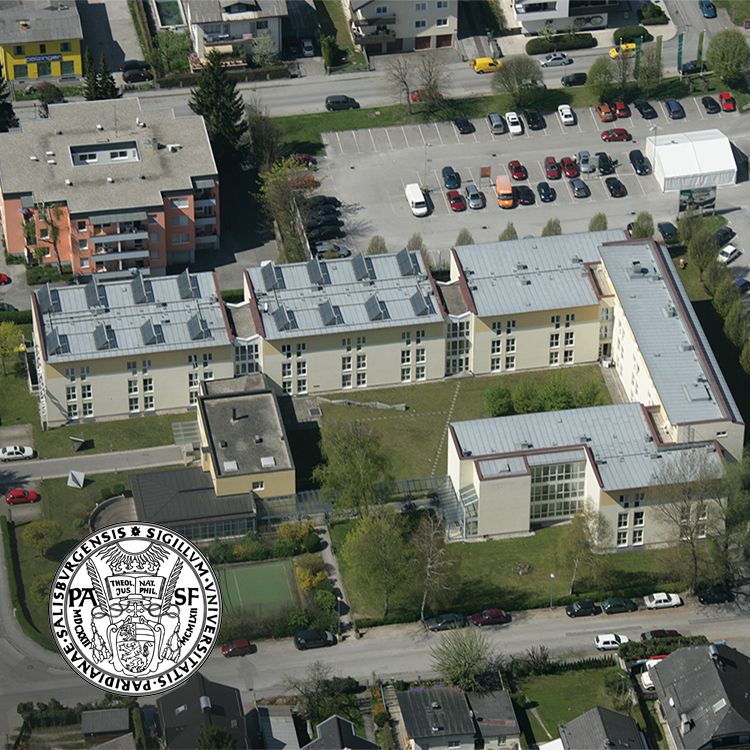 Official guesthouse of Salzburg University. 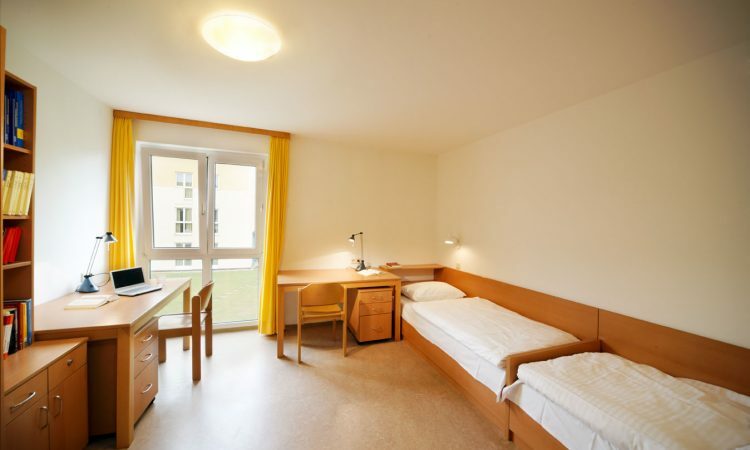 The Europa Kolleg and Franz v. Sales Kolleg are located perfectly served by public transport and yet in a quiet area between Alpenstraße street and Salzach river. 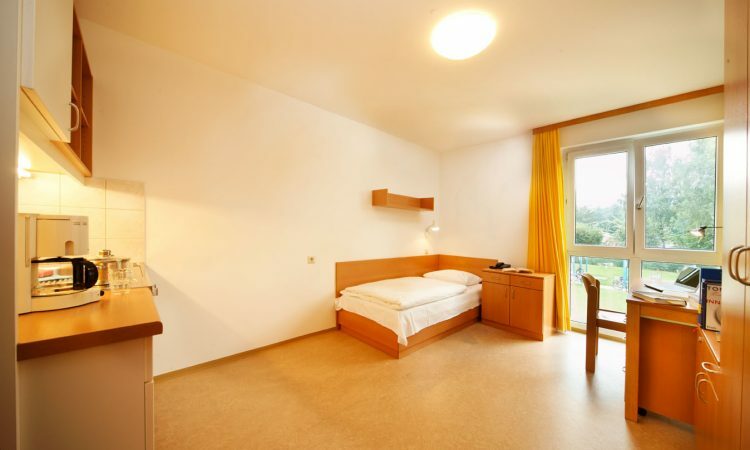 The fully equipped apartments offer quiet and peace to relax, outside there is a volleyball field for fun and action. The Alpenstraße, an arterial road in Salzburg, offers loads of shopping opportunities as well as buses to the city centre and to the next suburban train every other minute. You can reach the city centre within approx. 15 min, either by bus or by bike along the beautiful bike path at the Salzach river. Monday – Sunday: 08.00 – 11.00 and 4.00 p.m. – 9.00 p.m. I have read the data privacy statement and accept that in filling out the form I agree to it. Welcome to Salzburg: City of the mountains and lakes, the performing and fine arts. 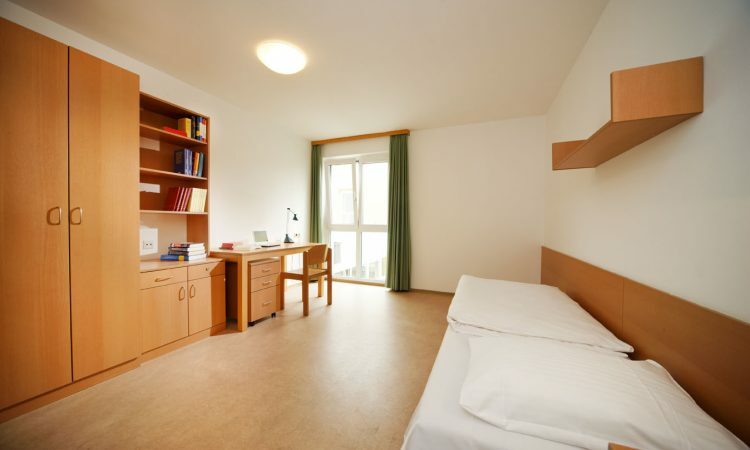 Whether idyllically surrounded by nature or at the heartbeat of the city – during the Salzburg Festival Season and the time of the Summer Academies, we offer the perfect room to study, live and work.